On Saturday January 19th we played game nº13 of the Winter 2007-08 Lachine indoor league, vs. Boca Juniors. This one has been a year of ups and downs for our team. We started off in October with 2 victories, which were unfortunately followed by as many defeats, and which capped off a first month not exactly up to usual MISN standards. That first month serves however as a good example of how our performances have been evolving up to this point: we have now passed the first part of the 22-game long season, and are now undertaking the “return leg” round (so-to-speak), during which we have every intention of improving the ranking MISN occupies in the standings at this moment. 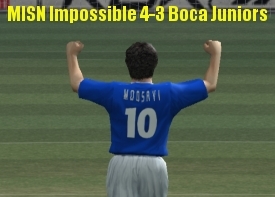 Now, we started off on the good track with our 4-1 win against Hellas last week (our first win in 6 long matches), and we were fully motivated to maintain our form today against last-ranked Boca Juniors. Attendance-wise, unlike last week we unfortunately had a good number of absentees for this one, also due to the fact we were confident we wouldn’t need a lot of players, since we were playing a team with 0 victories so far in the season. This was our first mistake of the day, because nothing is more dangerous than a cornered animal. However, for the sake of telling the story: Eric was unavailable because he was occupied with his McGill Intramural team Rejects, Saber (our latest recruit from last week) was busy working, and Tim was out on holiday to Mexico. On top of that Santi had his mother visiting from Argentina, and Kevin was stuck in Ottawa with some car trouble. On the upside we finally got Saad to show up to one of our games, and (long AT LAST!) Can was back from Abitibi/Turkey, and both their presence proved very helpful today. We stepped onto the field with great desire for victory, and would you believe it, contrary to all MISN traditions we immediately got to a great start. 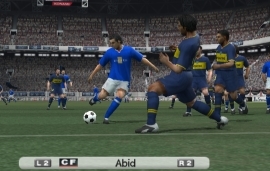 On the first action of the game, the ball was chipped by Saad over the Boca Juniors defense, for an unmarked Can in the clear. Our returning Turkish striker let the sphere bounce, then fired a shot past the goalkeeper for the first goal of the game. 1-0 MISN with less than 1 minute on the clock. A few minutes later, we scored the double. With MISN in possession inside the Boca half of the field, a countered pass/cross resulted in the ball looping up in the air, close to Saad a few 5-6 meters outside the area. As it was dropping, our Moroccan winger connected with a volleyed left-footed shot, straight inside the right post of the goal!! 2-0 MISN! Unfortunately (and this is the “but” of the story), that is when things started going sour. We became too lazy with our passes/controls, and did what in French we could call “pêcher par suffisance”. That is, we did the strict minimum both for defensive and offensive efforts, and it the end it turned out that the “minimum” wasn’t even enough. As a result, Boca Juniors started growing in confidence and utilized their counter-attack tactic to great advantage. First, they exploited a lost ball on our right wing to send the ball deep to one of their players, and after he won a few one-on-one challenges with our defence (with a bit of luck), one of their strikers managed to get a shot on net which Jan couldn’t prevent from crossing the line. 2-1. 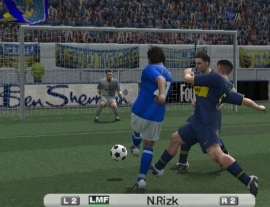 Then, a few minutes later, we conceded a doubtful free-kick just outside the box on the right (which by the way, was given by the Rasta Collina-wannabe ref, you know… MISN‘s big friend), and the Boca set-piece taker curled an instep shot straight into the top left corner. Quite a nice shot I must admit, and not much Jan could do. 2-2, back to square one. It was thus 2-2 at the half, and we had decidedly underestimated our opponents, and were paying for it. Most importantly, we were playing way below par, rushing the pass under pressure and being very unproductive in offense. If we wanted to walk away from this match with 3 points, we would need to do a lot better. For the first 10-15 minutes of the 2nd half, we spent a lot of time pushing up and down the field without going anywhere. We had a few good chances, but not much more: Marco and Saad hit the post, Bardia got served a good ball at the penalty spot (following a smart dummy by Saad) but couldn’t finish, and Can had a few tries on net which were too weak to worry the keeper. We also had a few scares. The Boca players were growing more and more dangerous on the edge of our area, and it took some last-ditch defending from Jon, or some primo goalkeeping by Jan to keep the game tied. Eventually, we broke through about 10 minutes from the end, as the two Moroccans from our team combined. Nafee pushed forward, passed the ball to Saad on the left wing, then continued his run towards the center. 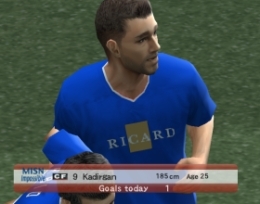 The ensuing cross by Saad connected with Nafee‘s header, and the ball angrily hit the inside of the net for the 3-2 tally. Unfortunately a few minutes from the end, a defensive mistake cost us possession at the half-line, which enabled a Boca striker to get through on the left, pass the ball across to the center, and a teammate to poke the ball inside Jan’s right post. 3-3 and &*#^$#*! !&# of bloody hell!!! The situation could have turned from bad to worse just seconds later, when another defensive mistake turned possession to Boca, and left one of their strikers all alone in front of the net. It was then that our keeper Jan pulled out his wizard hat, and magically managed to prevent the ball from crossing the line: a first save pushed the ball back to the striker, and it then seemed like the net was wide open!! Incredibly however, Jan managed to stick his leg out on the striker’s final shot, and deflected the ball into corner, only inches away of the right post!! That was our good luck break, because on the ensuing play we mounted one final massive assault forward and really broke through the Boca defense, with Jon getting served in a perfect position on the right wing, and finishing with a low shot to the far post! 4-3!!! Ref called full time shortly after, and MISN obtained another very vital 3 points. Overall, it shouldn’t be too hard to admit we played poorly today. We began with a great start to the match, but then one of these three things took place (or all of the above): we went to sleep, we rested too much on our laurels, and we underestimated our opponents. 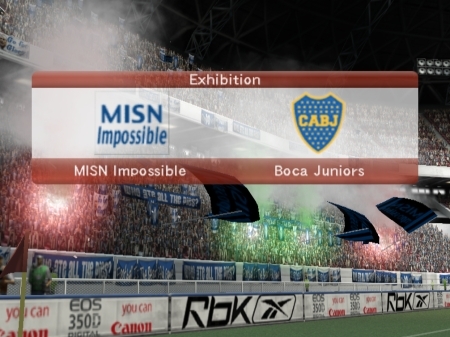 In our defense, Boca Juniors is one hell of a weird team: capable of losing 10-0 to a modest adversary, then almost creating the upset by losing only 3-5 to the 4th-ranked team. If anything, the team we played today certainly doesn’t deserve their last-rank spot (which should attest to the fact they have been doing some extra recruiting). However, that should be no excuse for our performance today in which we appeared unmotivated, undisciplined, and considerably lacked in cohesion. This entry was posted on Wednesday, January 23rd, 2008 at 2:25 pm	and is filed under MISN Impossible. You can follow any responses to this entry through the RSS 2.0 feed. Both comments and pings are currently closed.